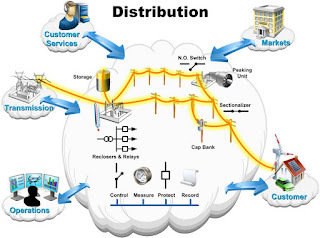 Distribution Domain - The National Institute of Standards and Technology released a common semantic model for the Smart Grid in June 2009 - NIST worked with standards development organizations to form a common representation of information models for the smart grid. The goals of both the smart grid and the microgrid are the same: to maximize generation assets through embedded intelligence while dramatically boosting efficiencies, thereby minimizing costs. However, the Smart Grid tends to be a top-down solution and Microgrids are bottom-up. A self-healing modern grid detects and responds to routine problems and quickly recovers if they occur, minimizing downtime and financial loss.